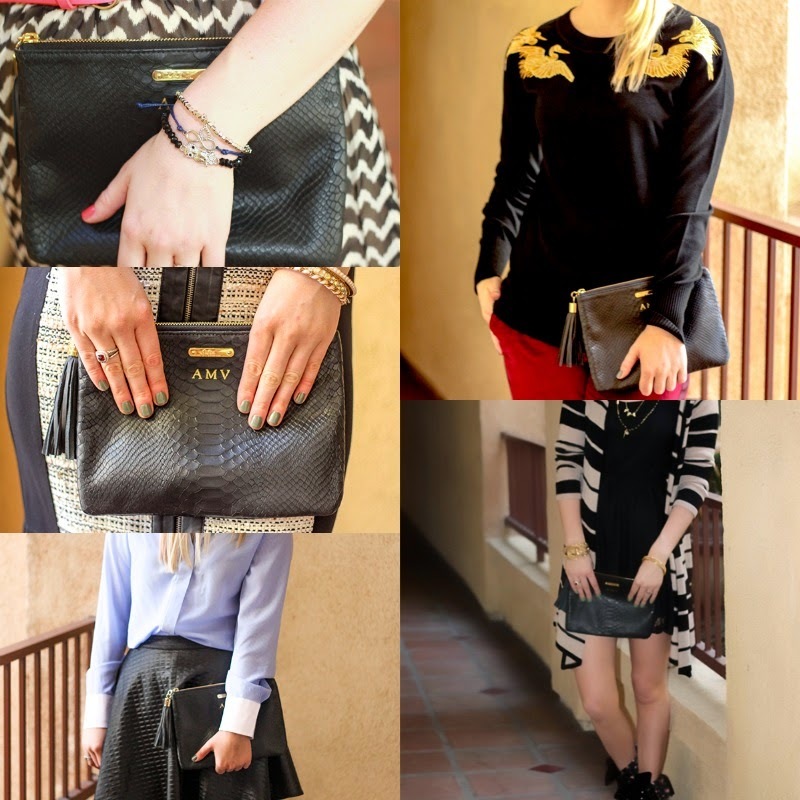 There are some things in my closet that I just can't get enough of, and my Gigi NY monogram clutch is one of them! You might see my carrying this pretty frequently here on the blog because its just so darn versatile. I was so excited when Gigi NY participated in my giveaway series last year and am even more excited to announce they are back this year with another fabulous giveaway! Gigi NY makes the most incredible handbags, clutches and accessories and are worth the splurge! I just may have a few of their items on my very own Christmas list! 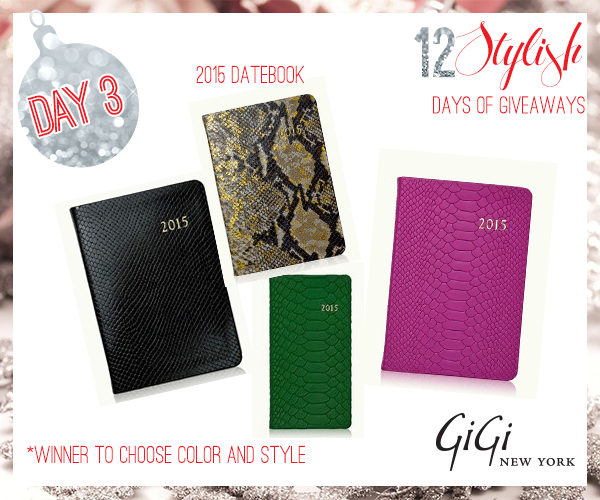 I am excited to share that my friends over at Gigi NY are giving one lucky Stylelista Confessions reader a chance to win a 2015 personalized datebook, a must have for staying stylish throughout the year! So lets get to the giveaway.. enter using Rafflecopter and remember to come back through the 16th to enter a new giveaway everyday! Check back here on Friday 12/5 to see if you're the winner of this giveaway! Good luck!